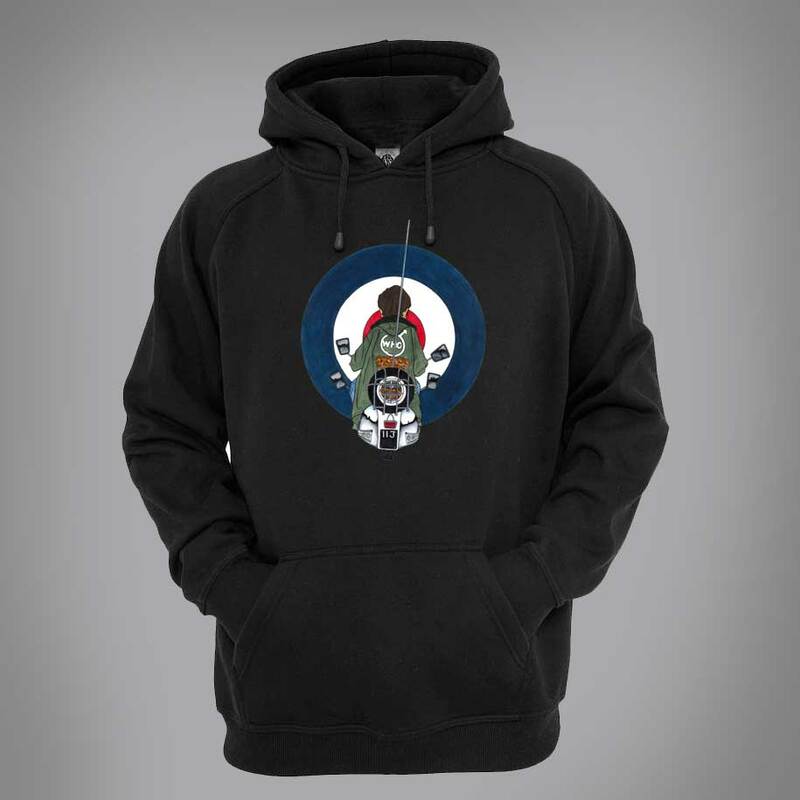 Jimmy Quadrophenia Hoodie featuring original drawing by Mark Reynolds. Quadrophenia is the sixth studio album by English rock band The Who. Released on 19 October 1973 by Track and Polydor in the United Kingdom, and Track and MCAin the United States, it is a double album, and the group’s second rock opera. Its story involves social, musical and psychological happenings from an English teenage perspective, set in London and Brighton in 1965.